Online gaming applications get launched with variations and modifications to attract gaming enthusiasts. Every gaming application or any software launch is backed by rigorous software testing and quality assurance. However, when versions are checked it is highly critical for teams to look at the earlier testing data and make amends or upgrades on the basis of that test data. Test Data Management (TDM) is highly critical during the testing lifecycle when the required data sets are needed for assessing the application under test (AUT). The quantum of data generated while testing an application is massive, hence, TDM helps to minimize the time spent for processing the data and generate reports that add value to the overall application/software. It also enables integrated sensitive data discovery, business classification, and policy-driven data masking for de-identification and effective implementation of production data within the development ecosystem. TDM is not only deployed on premises, but can also be implemented on the Cloud, or via any hybrid cloud configurations. Some of the key aspects of TDM are identifying common test data elements, masking and archiving test data, prioritizing and allocating test data, generating reports and dashboards, establishing business rules, developing automation suite for master data preparation, and eventually creating versions of old data. Some enterprises are even setting up centralized test data management teams to effectively procure test data in time and cater to the needs of the developers and testers. 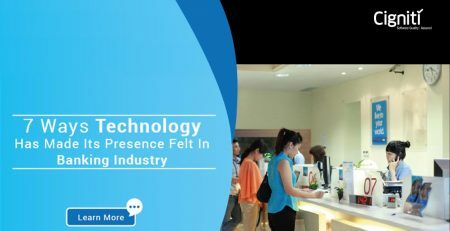 This way, they would streamline the overall test data process by acquiring, securing and facilitating the test data for ensuring speed and quality of the application. Let us have a look at four key TDM techniques that empower software testing. Data can be present in diverse forms and different formats, which can be spread across multiple systems as well. The respective teams need to search for the right data sets on the basis of their requirements and the test cases. Locating the right data in the required format and within the time constraints is absolutely critical. This intensifies the need for a robust test management tool that can deal with end-to-end business requirements for testing an application. It is evident that manually locating data and retrieving it is a tedious task and might bring down the efficiency of the process. Hence, it is important to bring into play a test data management solution that ensures effective coverage analysis and data visualization. Exploring the data sets and analyzing them further is absolutely critical, which helps establish an effective Test Data Management approach. In the current scenario where organizations are implementing agile methodologies, the data can be sourced even from actual users. 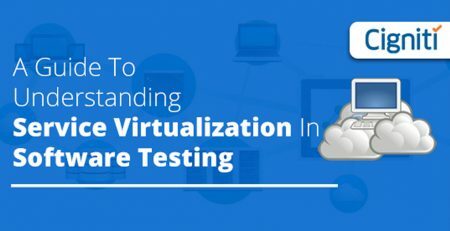 This data mostly comes via the application, which is followed as a practice for generating and exploring test data that gets leveraged for conducting test cases by QA teams. Hence, the test data must be protected against any breach in the development process, where sensitive personal data such as names, addresses, financial information, and contact details must not get exposed. This test data can be further simulated to generate a real environment, which can further influence the end results. Real data is necessary for testing applications, which is sourced from production databases and later masked for safeguarding the data. It is critical that the test data is validated and the resulting test cases give a real picture of the production environment when the application goes live. Eventually, the test data will determine where the application breaks in the actual (real world) set-up. Reusability is key for ensuring cost-effectiveness and maximizing the testing efforts. Test Data must be built and segmented to make it more and more reusable. It should be accessible from a central repository and the objective should be to use it as much as possible and optimize the value of work that has been done. By making the data reusable, the bottlenecks and issues within the data are removed and it is fully versioned. Ultimately, no time is wasted in resolving any unseen issues with the data. Data sets get stored as reusable assets in the central repository and are provided to the respective teams for further use and validation. In this way, the test data is available for building test cases within no time and at ease. Test Data Management entails scripting, data masking, data generation, cloning, and provisioning. Automation of all these activities can prove to be absolutely effective. It will not only accelerate the process, but also make it much more efficient. During the Data Management process, the test data gets linked to a specific test, which can be fed into an automation tool that ensures that the data is provided in the expected format whenever required. Automating the process ensures quality of the test data during the development and testing process. Similar to regression testing or any kind of recurring tests, even production of test data can be automated. It helps in replicating massive traffic and number of users for an application to create a production scenario for testing. It helps save time in the longer run, reduces efforts, and helps expose any error with the data on an ongoing basis. 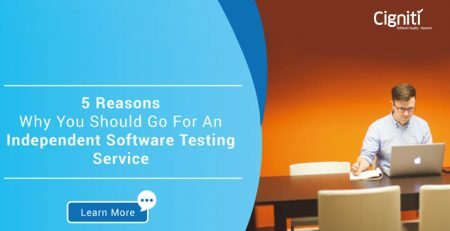 Ultimately, the QA team would be in a better position to streamline and validate its test data management efforts. Data is an enabler for any and every industry today. It helps in estimating not only the expected, but also some unexpected factors. Test Data Management is critical, as it helps to collate the required data sets for building the required test environment and boost software quality assurance. It is critical for testing an application’s functionality, performance, security, and every aspect that is important for ensuring the desired customer experience. TDM, thus, is fundamental to the success of your data strategy and overall testing strategy. At Cigniti, we have implemented robust test data management practices for complex enterprise platforms. With over 200 experts in the Data Governance practice, Cigniti has supported organizations in the implementation of solutions for centralized data governance, automated data management, data analysis & identification and high availability of test data. Connect with our experts to Improve test effectiveness by using accurate test data, Institutionalize test data management process, Implement test data creation and simulation, Automate test data management & Protect data sensitivity.